When you’re self-employed, it’s difficult to switch off. Home and work can blend into one, and it becomes near impossible to separate the two. There’s always a distraction – tasks or chores around the house that ought to be done. As a homeworker, you need versatility. You need the tools that allow you to work outside of the limits previously set upon those who work remotely. Consequently, we have chosen our top three devices that will massively boost your productivity, designed to complement a properly structured workday. Google’s answer to the Amazon Echo Show, a gadget that specialises in managing other devices, Google Home Hub works as an organiser for the home. It can personalise your morning routine and maximise your efficiency. Simply say, “Hey Google, good morning,” and you’ll be presented with your personalised events and any reminders that you need to be aware of that day. Just imagine: you wake up and you’re guided through your personal routine by Google’s intuitive hub. Provided you’ve got compatible devices, you can control almost everything – from lights and heating to security cameras – from one place, so now there’s no excuse to get away from your work. Microsoft’s latest efforts in the tablet/laptop hybrid market is the Surface Pro 6. The starting weight is only 1.7 lbs which makes it possibly the most dynamic laptop when working from home or travelling to a business meeting. If you thought that was useful, it also has a battery life of 13.5 hours. No more worrying about getting that one seat on the train that has a plug socket – your work can be mobile whenever you are. The Surface Pro 6 transforms the image of a laptop into a powerful business enhancing tool. While you may doubt the benefit of the various positions provided by the Surface, the ability to move from studio mode to a tablet form allows you to blend in with any client or prospect. Say you’ve just opened up your business. You need to be frugal and you’re yet to rent office space. Are you likely to consider purchasing a work phone? No. What you are likely to do though, is to use your personal mobile until your work/life balance becomes toxic. It’s common for those who work remotely to struggle to separate their home from an office. And, once your number is inundated with business calls, you’re never really away from the workplace. Thankfully, Apple have solved this issue! The iPhone XS has a built-in ‘eSIM’ which functions as a second SIM card. You simply set up the details on your eSIM and you’ll be able to take calls to the same phone, now able to determine the difference between family and business contacts. 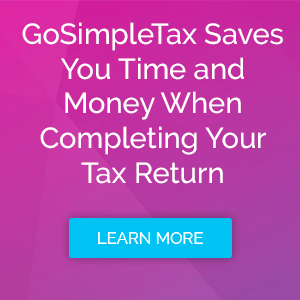 Like these three gadgets, GoSimpleTax is built to be accessible and innovative. We want your user experience to be seamless, and that’s why our software is compatible with all your devices – be it a phone, tablet or laptop. Submitting your Self Assessment has never been easier. Test out our tax return software with a 14-day free trial, or pick the package that suits you best, and see for yourself how we make the process fast and stress-free.